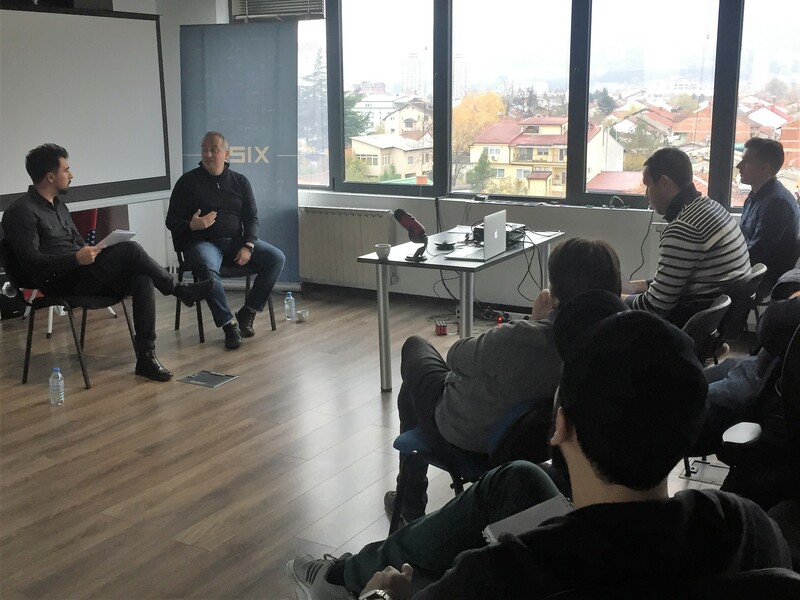 We were honored to guest one of the most influential figures of the IT world in Macedonia. Moreover, he was awarded for his outstanding results in the scientific-research activities in 2017. We are talking about Ph.D. Vladimir Trajkovikj – FCSE’s professor and author of more than 160 journal and conference papers. We enjoyed the opportunity to have a chat with him and join a discussion of many relevant topics for us, like software engineers. 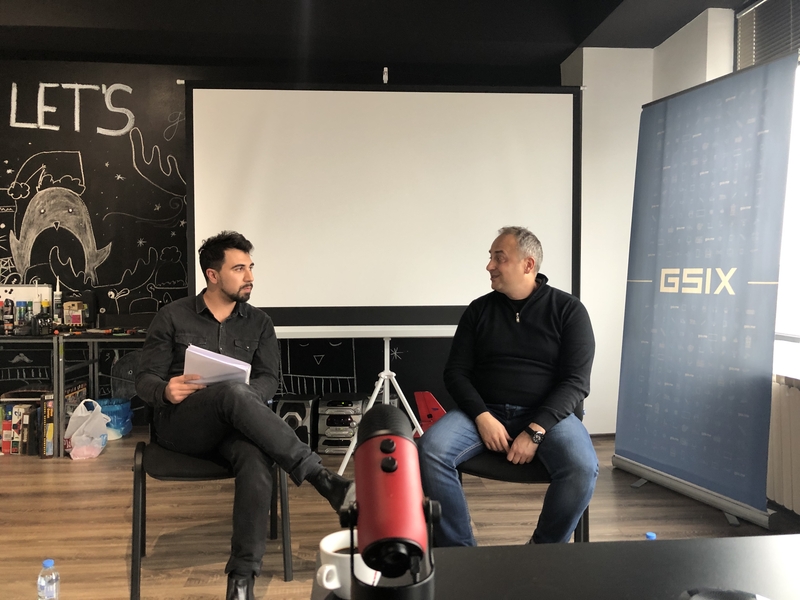 Here is the interview with the professor and some of the topics we’ve covered during his visit to GSIX. What does a professor’s ordinary day look like? Prof. Trajkovikj: My day starts early in the morning. I usually dedicate one hour just for me when I read a book and do the ordinary morning practices. Around 9 o’clock I dedicate my time to work responsibilities which last until the afternoon and end around 6 to 8 in the evening. The rest of the day is reserved for family, friends, social life activities and preparations for the following day. In the past, I’ve practiced the 45-15 minute routine. In recent years, I modify it into 90 minutes of work and 30 minutes of break which fits my living habits perfectly. Which topics are most interesting and catch your reading attention? Prof. Trajkovikj: Regarding worldwide topics and articles, I frequently follow news from the Explainable Artificial Intelligence and science appliance in medicine. The issue of genetics and disease problems requires a lot of research. It might be possible that diseases come from foreign organisms in our bodies and not the DNA alone. When did you write your first line of code? Do you find time to code nowadays? Prof. Trajkovikj: The ever first line of code I’ve written was back in time when I was in high school. When recalling this period, it was dramatically different than now, since we didn’t have Internet access. Today, I do not code, but I see what others code and check their code lines. I’m still in shape. How does a process of scientific research look like? Prof. Trajkovikj: It is an expensive sport and a robust process indeed. In 2018, I’ve conducted 8 scientific pieces of research published in journals with impact factors. The process sometimes can last up to 9 months, even two years. But it is all worth it in the end. You gain reputation, prestigious magazines publish your papers and worldwide elite conferences invite you for being a speaker. Not to mention the invites from elite universities for being their guest lecturer. You are known as one of the co-founders of one of the most recognizable companies made in Macedonia from the IT sphere. How did the story begin? Prof. Trajkovikj: 20 years back, we thought there is not enough qualitative code done by Macedonian software engineers. Then, we set the vision – build a company with the best software engineers in the country – creme de la creme. It was a pleasure to be part of the founding team. When I’ve decided to leave the company, I gave my shares as a gift. You’ve been a mentor, management consultant, and co-founder of multiple IT companies and projects including us, too. What is the greatest challenge for home-based IT companies? Prof. Trajkovikj: Yes, throughout the years I’ve been part of many companies to whom I’ve shared my knowledge regarding establishment, mentoring experience and other consulting services. I was able to have a comprehensive overview of how companies work, implement management procedures and problems which are facing. If I had to choose one constant problem that is the sales process in every company. Each IT company should focus its efforts to improve and enhance the sales. Instead of joining the corporate world, you dedicated your time and passion to the academic field. Moreover, you’ve been part of creating one of the most prominent faculties in Macedonia – FCSE. Prof. Trajkovikj: Yes, today I’m a full-time professor responsible for several courses both on the undergraduate and postgraduate level. In fact, FCSE’s story was similar to building a startup. The FCSE’s vision is being a mix of an exclusive and popular place to finish academic studies. We officially started in 2011 and we strive to be up-to-date with the latest technology trends, thus modifying our programs every two years. FINKI’s number of enrolled students is increasing every year. You finished 2018 by being acknowledged and awarded for the scientist with superior results in the scientific research domain of the FCSE’s Institute for Information Systems and Network Technologies. What are your next plans? Prof. Trajkovikj: My schedule is already filled with traveling to Europe, and overseas for guest lecturing, conferences and mentoring. Plus, I will be fully devoted to the academic and scientific research field. Аnother field I’ll devote to will be included in the process of teaching prodigies IT skills since we have promising results so far.